There will always be some new big technology on the horizon that will shake up markets, investments and entire industries — just look at the huge Chatbot craze taking off. This is especially true for 2017, with constant breakthroughs in advanced technology such as Machine Learning and Artificial Intelligence. Businesses that are looking to rise to the top must understand how to utilize and leverage this new tech for any competitive edge. Well, back in the end of 2016 I highlighted what I felt would be some of the biggest trends we’ll see in UC for 2017. One of the technologies I focused on was the boom of API Development. Powering integrations, new stand-alone apps and solutions, and even the important omnichannel experience — APIs offer the potential for new customer experiences and, more importantly, entirely new business strategies. Now that we’re a few months into 2017, we wanted to take a look at where the API economy currently sits, and highlight the growing importance of APIs for any business. This will be a little bit of a longer road to bring everything full circle, but I wanted to start here to lay the foundation for this discussion. At this point, with a large number of businesses switching over to a Cloud subscription model (or at least digital focused user base), it can prove difficult for providers and developers to increase revenue without simply increasing their subscriber count or raising prices. One is a challenge, especially when you’re as big as Salesforce, and the second is a quick way to piss off your customers if not justified. So what do you do to increase revenue? Add in new methods and strategies, of course. This is where APIs come in. Of course, the same could be said for all new tech such as AI and machine learning, but APIs are a bit unique. Since Salesforce is already so huge, they leveraged the power of APIs to increase revenue. In fact, according to a report by the Harvard Business Review, Salesforce actually brings in a staggering 50% of their revenue through APIs. And if you take a look at our list of VoIP providers that integrate with Salesforce, you can begin to understand why. Now, that’s the basic concept here: generate new revenues through new technologies and service offerings. But, you might still be left scratching your head asking, “What the hell is an API, how does it work, and how can this generate 50% of my revenue?” Well, hopefully I can help make sense of it all. Square One: What is an API anyway? The term caught on in the mainstream awhile ago, but I’m sure many still are not exactly sure what an API is, how it works, or what it even does. That’s probably down to a few reasons, and seeing as how many different APIs do many different things, it can be difficult to nail down one exact definition. Now, I understand that this is still pretty vague. But as I explained, APIs can do very drastically different things, and enable completely different solutions. Generally, APIs are used to connect two otherwise independent solutions, apps, or pieces of software. But how they integrate differs vastly from solution to solution — kind of like IoT, we use a generalized concept to express the idea. So, it would be difficult to put a more specific blanket definition on what is really a more generalized idea. 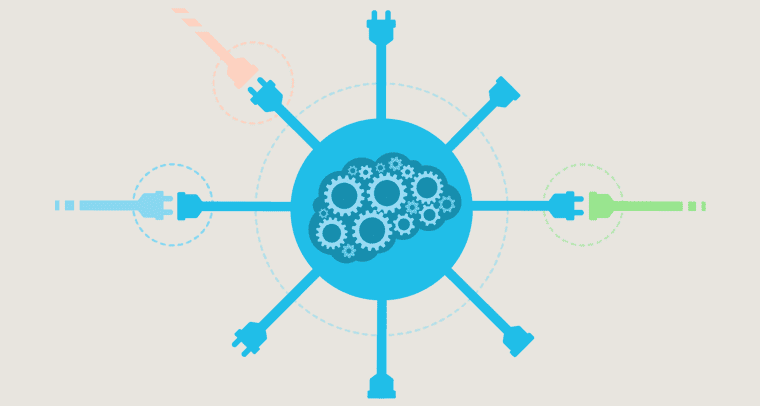 But to give you an even better idea, we’ll dig into what APIs do. Part of the issue with understanding APIs is that their definition can be very broad. With thousands of potential use-cases, and developers creating their own solutions, this can prove difficult to explain. This is why we’re often fed the basic definition we saw above. But it really doesn’t tell the whole story, and doesn’t really even scratch the surface if what APIs do, and why they’re specifically important. 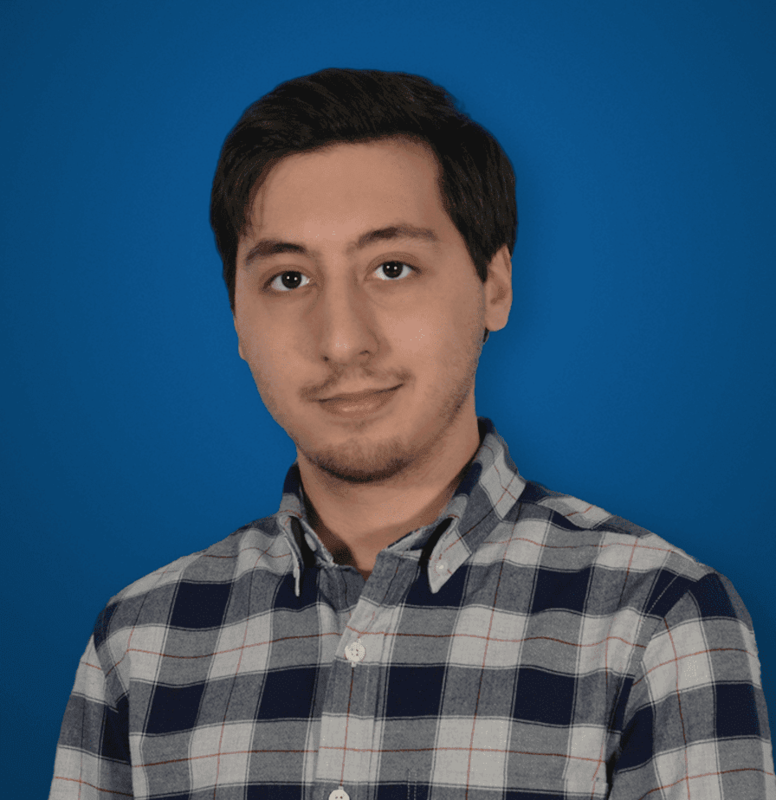 So, credit where it’s due — I think ProgrammableWeb’s Editor in Chief David Berlind put together a fantastic series back in 2015 explaining what an API is, how they work, and why they’re so important. Within this series, David used a specific metaphor to help explain an API, as well as its many benefits. Since I think his explanation did such a great job, I wanted to discuss this concept a bit to help drive my point home. One way to think of an API is like an electrical wall socket. Most countries in the world have some form of wall socket: they may differ in size and shape, and even their power output, but overall they complete the same goal. Electrical sockets are simply the “essential interfaces to a service: the electricity that’s consume by everything from our computers and smartphones to appliances like vacuum cleaners and hair dryers,” as David put it. He goes on to explain that instead of the object, computer, or phone supplying its own power (like a car does), the appliance receives power from the service provider, or electric company, through the wall socket interface. So, these sockets are the “gateways” in which our devices gain power and can operate. These sockets are an agreed-upon standard, and you always know that no matter the device, it will receive power properly and work every time. This is essentially what an API does: APIs are the interface that provide necessary information or functions to an app. Why Are APIs So Important? If you like to think of API’s as a standard, a set of guidelines and rules, then the inherit benefit and need for them might not seem so crucial. After all, many businesses rely on a closed ecosystem or proprietary services/devices — just look at Apple and their ecosystem. Well, in reality, if we didn’t have any standards it would lead to a massive mess of appliances that don’t work in certain homes, or a huge barrier to entry far too large for most consumers. Going back to the wall socket analogy, without wall sockets, we would have to rip open our walls and hard-wire appliances whenever we wanted to use them. This would be complicated and expensive for the average home owner trying to charge their new cell phone. Nothing would play nicely together and would require extra work just to deploy. So the benefits of APIs are much like that of wall sockets, or closer to home like that of Cloud networks. All of the confusing technical work should mostly be taken care of — that’s the job of the socket, or API. The guidelines set by the API understand how to pull in necessary information, and where to pull it from — every time without fail. And since the guidelines are already in place, the heavy-lifting is already taken care of, and the integration process is as close to “plug and play” as possible. Overall, the main use of an API is to link two or more apps or software together. So think of Uber for example. Uber has an entire map system built right directly into the app so that users can see where they are, mark a location, and see where all the drivers are. This is part of why Uber is so great to use — you can literally see how far away a driver is. But do you think Uber went ahead and created their own map solution for this app? Well, guess again. Sure this isn’t the 1700s where we have to draw out maps by hand, but it would still be a pretty massive task to create your own digital map like Google has. Apple even tried, and for years their app was giving users incorrect directions and was just plain wrong at times. So Uber did what any smart start up would — they utilized an API to bring in an existing map. To be more specific, Uber originally used the Google Maps API. But, just to bring this back to UC and VoIP: this begins to shine light on how a new platform can rise to popularity. Instead of building an entirely new network, or messaging function, developers can utilize APIs to connect existing solutions. 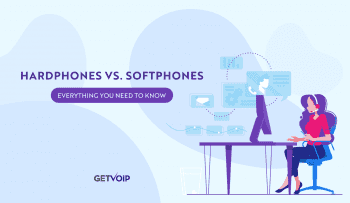 This again comes back to the Salesforce and VoIP example I gave earlier. 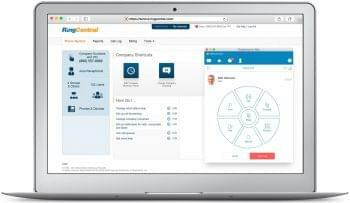 Why should a VoIP provider attempt to build their own CRM, when they can just integrate Salesforce? The very idea that a solution integrates with Salesforce will simply help drive even more user adoption. Since Uber utilized Google’s existing Maps API, they were able to save the time and money they would’ve had to sink into the development of a totally new Map solution, and focus it into the rest of their service instead. But since Uber used Google Maps — probably the most popular and stable digital map database out there — they were also able to provide users with a really solid map that actually works incredibly well. Just as Google benefits from user data to improve their maps, Uber could benefit from this powerful platform without having to develop their own. Some of the easiest examples of how APIs can be used to produce entirely new solutions can be see in the different add-ons Contact Centers can integrate into their existing solutions. I want to finally bring this full circle. This is what I’m trying to really get at here: the simple fact is that a burgeoning API economy will allow for even more business strategies and models to develop. This has probably always been said, but businesses must leverage new technologies to find a competitive advantage anyway they can. APIs can help do just that in multiple ways. Developers – An app developer utilizes an API to integrate an existing service into their solution. This allows the developer to focus their efforts on their specific solution, and bring in the “heavy guns” to do the hard work for other crucial functions. This exact idea is why Twilio and Nexmo are so popular — they allow app developers to include new functions without having to create their own network, infrastructure and team messaging platform. So, instead of going the Apple route, and spending time making your own map just to have users constantly download an alternative, build your app with the right tools and APIs or provide the functionality of customization to the end user. For example, there are hundreds of VoIP providers that integrate directly with popular CRM apps. This freedom allows end-users to marry two solutions together. This way users don’t have to abandon one solution just to get a different one, and this will hopefully result in higher adoption. API Providers – But of course, as we saw in my Google Maps and Uber example, even the API provider will benefit strongly from “renting” or selling API access. With Google Maps and Uber, Google is now making even more money through an entirely new revenue stream with their Maps solution; they charge developers, like Uber, a reoccurring access fee. But beyond just increased revenue, Google also gains a whole new slew of data from Uber users. And we all know how much companies love big data — contact centers absolutely need big data. But this is really the main focus, because APIs are able to open up entirely new revenue models and business strategies once a provider understands how to monetize the API model. End Users – There’s an adage contributed to development often: “Build it and they will come.” This, quite frankly, isn’t very true. There are so many failed social media apps out there, and instead of reworking an existing idea, they try to do something new and fail most of the time. But APIs can help solve this problem. Offer users a new experience, but utilize what is familiar and already adopted. Facebook Messenger is the most widely used messaging app, so why create a new solution if an API can bring that existing platform into your app? Users love familiarity, and APIs allow developers to bring that, along with reliability. APIs simply allow developers to create more complete and accessible. Overall, APIs help us bridge what were previous gaps and expand our platforms behind the simple functions originally planned. 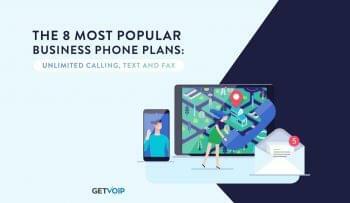 Whether you are a small-time app developer looking to boost the usability or functions of your app, a VoIP service provider looking to increase user adoption by allowing popular integrations, or even a provider looking to rent out API access, APIs are absolutely worth considering. The more APIs that become available, the more opportunities there will be for providers to expand their platforms, user base, and revenue possibilities. The early adopters will benefit the most, jumping in before the water is already too crowded. But that’s not to say the worm only exists for the early bird. Either way, with already 12,000+ APIs in existence, it really begins to make sense why API will be one of the most important acronyms of 2017.